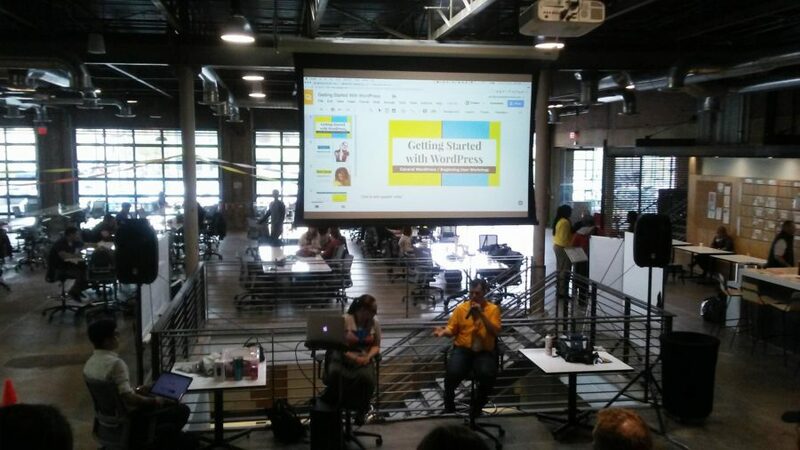 This was my first time at WordCamp Phoenix and ALSO my inaugural WordCamp as a SiteLock Evangelist [eeeee! ], but nothing to fear because a bunch of our awesome team members came out to represent with me! 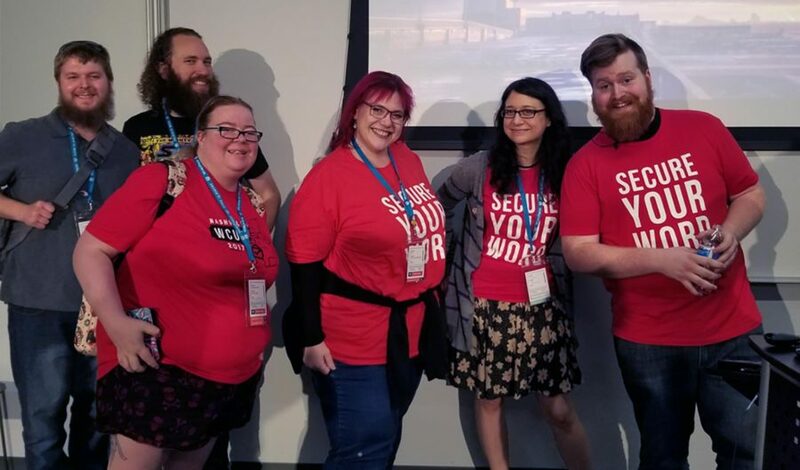 Among them were Michael Veenstra, our Web Security Research Analyst, who gave an excellent talk on The Anatomy of a Hacked Site, and Cj, our new (and awesome) Social Media Specialist. You may have noticed her bright red hair and enviable Star Trek ensemble, or caught her running #WCPHX commentary on Twitter. Inaugural WordCampers all around! There were a ton of great sessions this weekend. One theme that I personally came away with, was the idea of bettering yourself, managing your time to be as productive and happy as you can be and just generally being your best self. It’s a misnomer that WordCamp is just full of a bunch of developers talking developer-geek talk. There are certainly a lot of us, but anyone who has attended a WordCamp knows it extends far beyond technical discussions. Many of us in the web industry work remotely, manage a freelance business, feel the stress of Imposter Syndrome, struggle with business decisions, and often wonder what our place in this field really is. 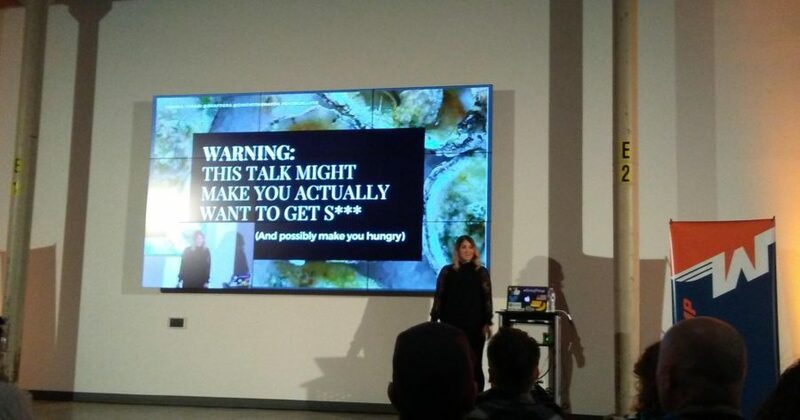 And in true WC style, there were plenty of inspiring and motivating talks this weekend around those topics. I walked away feeling inspired and refreshed, and ready to take on the next chapter! On Saturday the good vibes were flowing, especially after Shayda Torabi took the stage. Her vibrant personality and candidness about her struggle to achieve success, not only in her career, but also in living a fulfilling life, were truly inspiring. Shayda, a project manager at Web Dev Studios, talked about how she turned her passion of food into a successful food blog, Dining With Shayda. But finding the motivation and discipline to live the life she wanted was a journey of self-discovery. She shared with us her motto of living a purposeful life and making the effort to really pursue your goals. There is no doubt also that she had the most delicious slideshow photos of the weekend! 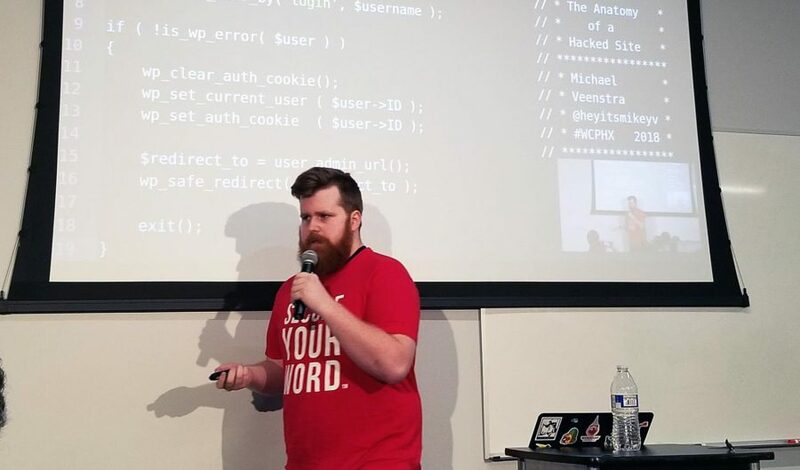 On Friday, our very own Mikey Veenstra took to the [proverbial] stage and dropped a knowledge bomb on the sneaky ways hackers exploit vulnerabilities in order to hack your site. With just a simple Google search, he was able to easily find thousands of vulnerable WordPress sites that are open to hacking. And if it’s as easy as a Google search, imagine the fun hackers can have with an insecure site. 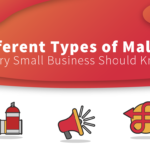 He evaluated the different levels of hackers out there and what they are looking for when they target your site. This was a weekend of not only single sessions, but workshops as well. A clear standout was Nathan Ingram’s 3-part Saturday workshop geared toward freelancers — but truly, the strategies he covered can easily be adopted by anyone who struggles to find the time to work on their life goals. He empathized with the difficulty in finding time to work on the things necessary to grow your business, while dealing with the neverending “whirlwind” of everyday client work. He explained that in order to make change and grow, it’s crucial to set aside time to evaluate your goals and take real steps toward seeing them through. By scheduling time, breaking your goals into executable tasks, and tackling them one by one, you can find time in the whirlwind. Like many WordCamps, Phoenix had a 4-session Beginners track, and it was hugely popular. Unlike other WordCamps however, Phoenix responded in a special way when they were met with demand that far exceeded the room capacity. Rather than turn everyone away from this crucial and valuable introduction for Beginners, they quickly set up A SECOND full Beginners session block after lunch, so that everyone who missed the first series could take part. Having taught Beginners tracks at other WC’s across the country, I know how popular these sessions are, and was delighted and impressed with their quick thinking. Another WIN for Phoenix! Like last year, the afterparty was at Phoenix Public Market Cafe. 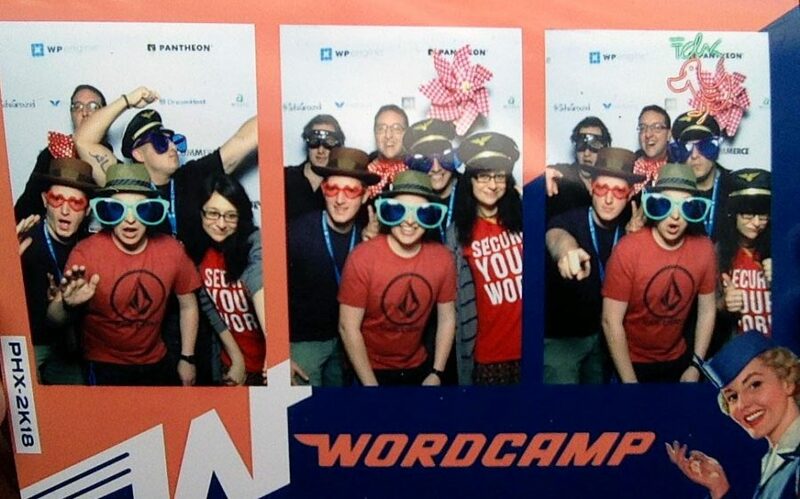 Afterparties are a tradition for WordCamps, but this year was really special. In addition to a photo booth that printed out photos on the spot, there was a video game and virtual reality trailer outside that let you play a ton of different games. For a lot of us, myself included, this was an introduction to VR and for the first time I really understood just how relevant and exciting the eventual Ready Player One world is going to be. It is so realistic, that you somehow FEEL the g-force when you round the corner as a racecar driver, and your stomach drops as you fly through dips in a roller coaster. It was a truly inspired detail in an already great party. 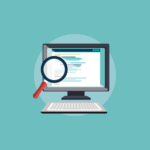 In keeping the conversation going with Michael Veenstra’s talk, “The Anatomy of a Hacked Site,” this week we are introducing a 5-part blog series on keeping your site updated to manage and prevent your site getting hacked. 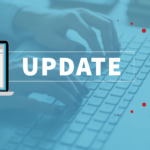 Stay tuned for our first post, “Keeping WordPress Updated: Create a Plan to Manage WordPress Updates”! Continue the conversation on Twitter at SiteLock, and like us on Facebook at SiteLock – Website Security.